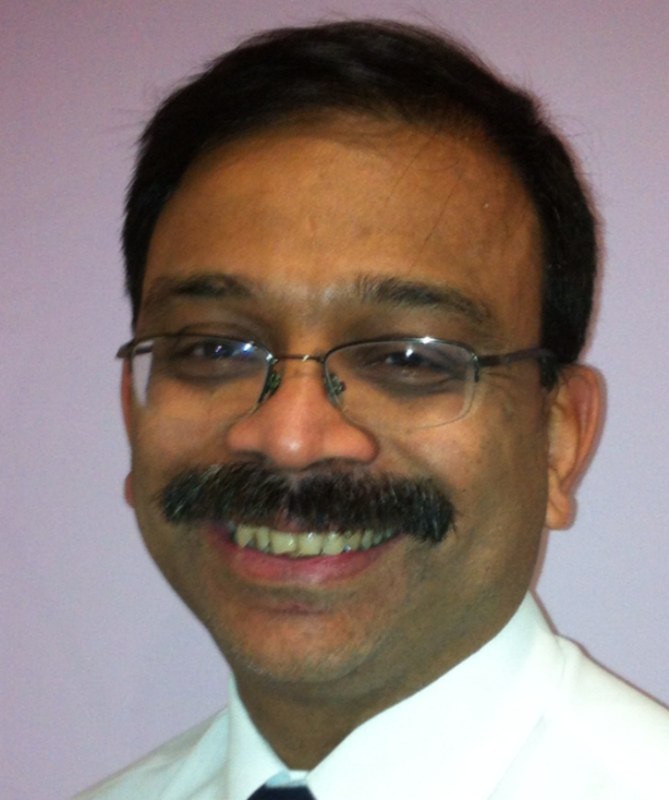 Mr Vikram Desai is a Consultant Orthopaedic Surgeon. He performs a large number of knee & hip replacements and also treats knee ligament injuries. He specialises in knee surgery & complex knee problems. As an honorary lecturer at the Nottingham University, Mr Desai is actively involved in teaching & training, including medical students as well as doctors in training. In addition to clinical work, he is actively involved in research in orthopaedics. Mr Desai sees and treats NHS patients at the Nottingham NHS Treatment Centre. Mr Desai is currently a P.I. in ‘aclsnapp’ Trial which is a multicentre trial for the treatment of ACL injuries. He is also a clinical lead & co P.I. for ‘STAR’ Trial about outcomes of Knee Replacements.